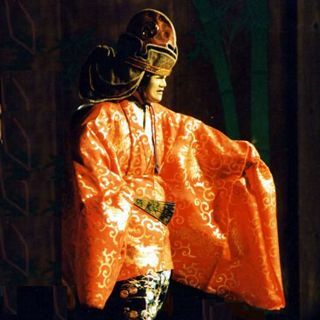 Noh performances reflect upon the daily life and times of the Japanese. An extremely stylized art form which dates back to the feudal period, the masks used convey the mood and character of the part played by the performer. Thus, each mask is a manifestation of elegant simplicity and rustic tranquility ( Yugen ). We have a workshop of talented Japanese wood carvers trained and supervised by some of the world's leading Noh mask carvers. Our completed project is a collection of about 200 historical character masks used by the stage actors of 14th century Japan. There are nearly eighty different and distinct characters depicted by the masks used by traditional Noh performers. Only a few skilled Japanese craftsmen have the ability to create authentic Noh masks using the traditional Japanese wood carving techniques. Master carvers in Japan must commit their work to individual Noh performers, so very little time is permitted for making extra masks for collectors. Making a Noh masks is a labor-intensive process that can take anywhere from a few weeks to several months from start to finish. The cost of these creations therefore becomes very prohibitive. Our workshop solves this dilemma by providing collectors with excellent quality masks, at very reasonable prices. We are certain you will be pleased with the craftsmanship and quality of each piece received.